First made in the 16th century, Double Gloucester is not just famous for its mellow, accessible flavor, but also for the centuries-old Cotswold Cheese Rolling Race. Each spring residents of Gloucestershire in the west of England, where time has stood still for 300 years, start their Double Gloucester wheels down a dangerously steep hill then race after it! The first cheese-chaser to cross the finish wins, with many participants left injured by the cheeses that roll as fast as 70 miles per hour. “Double” refers to the traditional Gloucester cheese recipe that uses milk from both the morning and evening milkings. With a lovely balance of creamy yet distinctive tangy flavor and a pleasant satiny texture, achieved by the uniquely rich milk of the British countryside, “double” also reflects the outstanding quality and taste of Coombe Castle’s buttery-smooth Double Gloucester. 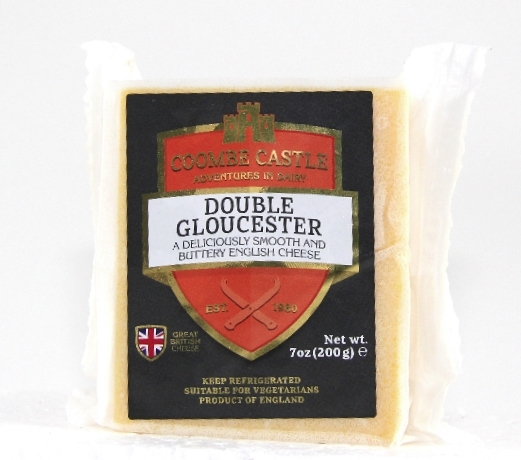 Coombe Castle Double Gloucester is only made with the freshest local milk and according to traditional production methods. Double Gloucester’s inviting orange color was historically enhanced with carrot juice or saffron, but today it is achieved with natural annatto vegetable dye. Application: Double Gloucester is a delicious table cheese and great in sandwiches or as an ingredient. It has a lovely creamy flavor that adds dimension to dishes without overpowering them. Pairing: Try a Merlot, Pinot Noir or Porter. Sweety Drops were only recently discovered in the Peruvian Amazon rainforest (one of the last true frontiers on earth), and are taking taste buds by storm due to their incredibly unique sweet and sour flavor and distinctive crunch. These bright-red, teardrop-shaped, mini-peppers have been honored with a 2014 National Restaurant Association FABI award. FABI awards recognize and celebrate innovative new products that propose exciting opportunities for everyone from consumers to food industry specialists. 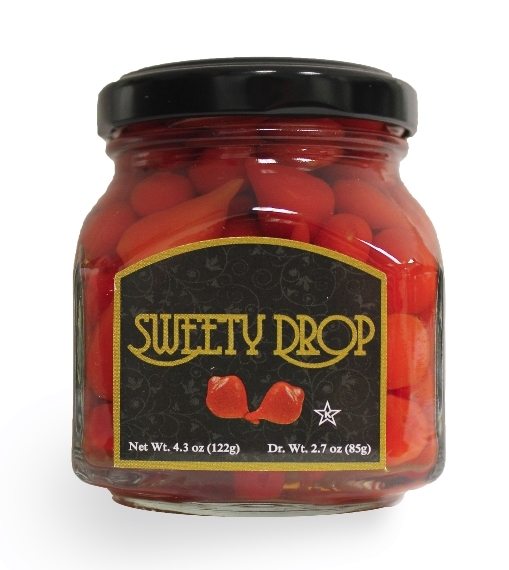 Wonderfully versatile, with striking visual appeal, Sweety Drops make a delicious snack; they go great in salads, pasta dishes, tossed into other vegetable or grain dishes; and they make a great pizza or baked goods topping.